The highway has all the benefits of an expressway without a toll; its four lanes shorten travel time and increase the safety factor for drivers; it was completed just in time for the start of Easter season in the Riviera Nayarit. 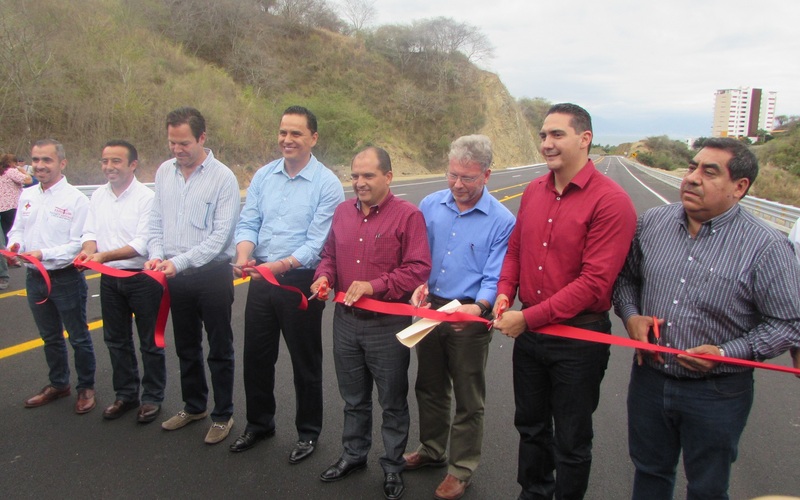 Roberto Sandoval Castañeda, Governor of the State of Nayarit, officially opened the new highway between La Cruz de Huanacaxtle and Punta de Mita, just in time for the start of Easter week vacations in the Riviera Nayarit. During an earlier event on Friday, March 18, 2016, Nayarit’s Governor indicated this was a quality project, as are many of the area’s developments. “This is of a quality that rivals that of toll roads,” emphasized Sandoval Castañeda, adding it was a toll-free highway. Citizens of Punta de Mita and Higuera Blanca, the hotels and businesses adjacent to the highway, as well as the developments at Punta Mita and Litibú and all the tourists that visit the Riviera Nayarit will benefit from this work, which not only reduces travel time, but also increases security for drivers. “We’d like extend our thanks and recognition to the State Government for this achievement as well as to the other authorities, developers, businesses and hoteliers who helped further this project, which greatly improves ground connectivity in the Riviera Nayarit,” said Fernando González Ortega, President of the Hotel and Motel Association of Banderas Bay. The 7.2 kilometers (5.5 miles) of asphalt has four lanes and represents an investment of MEX$300 million; it can handle up to 20 thousand vehicles per day. Ignacio Ávila Ruíz, Secretary for the Department of Public Works, mentioned they included ample drainage openings with vaults approximately every 500 meters (1,600 ft.) in order to allow for rainwater flow and serve as wildlife corridors.